Compare to December 21, 2015. Nice Job Andy & Pete! 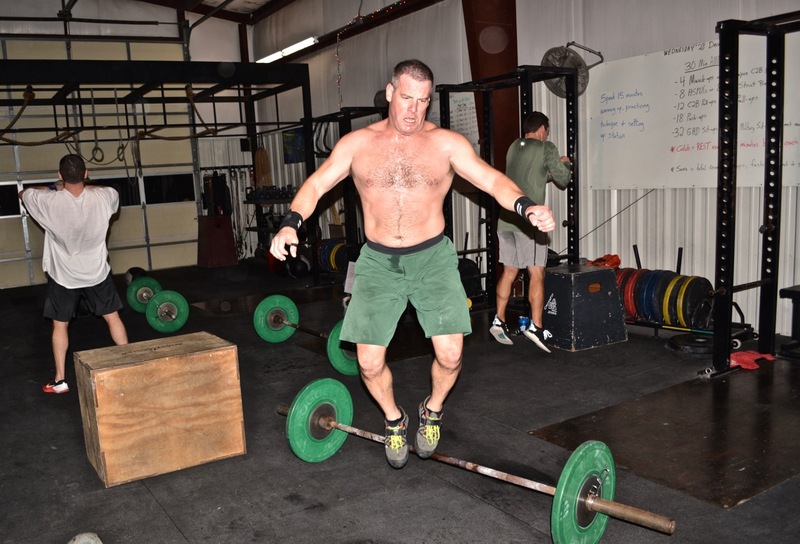 WOD as Rx’d = 19:26? WOD RX top to bottom 26:15.
last time was 24:59 w/ 95#, so an improvement of 20# heavier and 4:44 faster! Started out running on the round where I was supposed to row 400m then realized it bout 50m in!